10 States Consider Expanding Internet Gambling | South Carolina Personal Injury Attorneys | Criminal Defense Lawyers - Strom Law Firm, L.L.C. At least ten states are considering new legislation to expand internet gambling, according to the Gambling Compliance Survey, which tracks gambling legislation worldwide. Currently, only three states allow internet gambling – Nevada, New Jersey, and Delaware. The states considering expanded internet gambling legislation are California, Colorado, Hawaii, Illinois, Iowa, Louisiana, Massachusetts, Mississippi, and Pennsylvania. However, the survey also found that online gambling opponents would attempt to block the bill in Congress if a national internet gambling bill was proposed. South Carolina recently passed gambling legislation that expanded the definition of video poker machines to include sweepstakes machines, so that law enforcement could more easily crack down on gambling establishments. The state is unlikely to legalize internet gambling. Online gambling is also unlikely to receive national legalization or expansion, although it has been very profitable for the states that allow it. In New Jersey, which has 15 legal internet gambling websites, the state received $8.4 million in profits. However, the Gambling Compliance Survey found that legislators in the US House and Senate are unlikely to propose anything risky because it is a midterm election year. While some states are debating whether or not to legalize internet gambling, New Jersey and Delaware are debating whether or not to expand existing legislation, and Nevada could introduce legislation to expand online gambling from just poker to other games. A bill to potentially legalize online gambling died in Mississippi on Tuesday, February 4th, when the legislature failed to pass it. Gambling, whether at sweepstakes machines or through internet gambling websites, can be a serious problem. Many people across the country suffer from gambling addictions, and have nowhere to turn for help when they find themselves bankrupt. 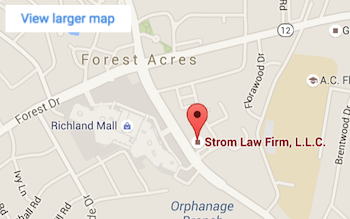 In 2011, the Strom Law Firm wrote that video poker was making a come-back in South Carolina. The Strom Law Firm was one of the first law firms to bring suits against the video poker industry in the late 1990s seeking to recover gambling losses. Since that time, the Strom Law Firm has litigated video poker cases, including Lauren Proctor’s first case against a local Columbia restaurant. According to the lawsuit, from 1999 to 2005, Proctor frequently gambled on video poker machines provided by Pizza Man and Rockaways Athletic Club. She often lost between $1,000 and $5,000 gambling on the video poker machines, which South Carolina ruled were illegal in 2000. According to case documents, the two establishments encouraged her video poker addiction by providing her with cash advances to fund her gambling, as well as free food and liquor to keep her at the establishments longer. In that case, the Court concluded that operating video poker machines for gambling constituted a violation of the South Carolina Unfair Trade Practices Act. South Carolina has several laws in place to protect gamblers and their families from the financial ruin that their gambling addiction can cause. Recently, a bill which adds sweepstakes machines to the list of illegal video poker machines in South Carolina moved to Governor Nikki Haley’s desk for approval, after near-unanimously passing both the House and the Senate. The attorneys at the Strom Law Firm have experience with illegal gambling cases and is accepting cases for people who have been harmed by illegal gambling in the State of South Carolina. We offer a free consultation to discuss the facts of your case. To have a lawyer evaluate your case, please call us at 803.252.4800. Do not let illegal gambling ruin your future.